She was one of the last vessels to d/d in Tilbury. I have no details of the BIRLAD. Any info RWJ ? The bulk carrier BIRLAD was built at Constantza in 1976 and was owned by NAVROM (Romanian Navigation Co), of Bucharest. She was of 32,100 tons gross and 54,614 tonnes deadweight. 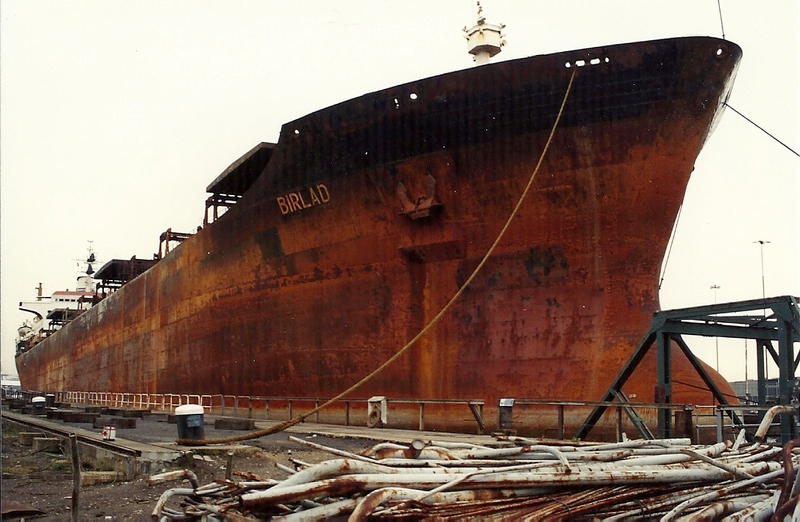 She was broken up at Alang, India, in 1999, and for the delivery voyage to the breakers was renamed IRLA (B and D painted out of the name on the hull).